Happy Hump Day! Finally it's Wednesday but the week is far from over. I have two tests tomorrow and two projects due on Saturday so I am super busy. This lace-up shirt has been on repeat and I actually bought it in two colors because it was under $10! 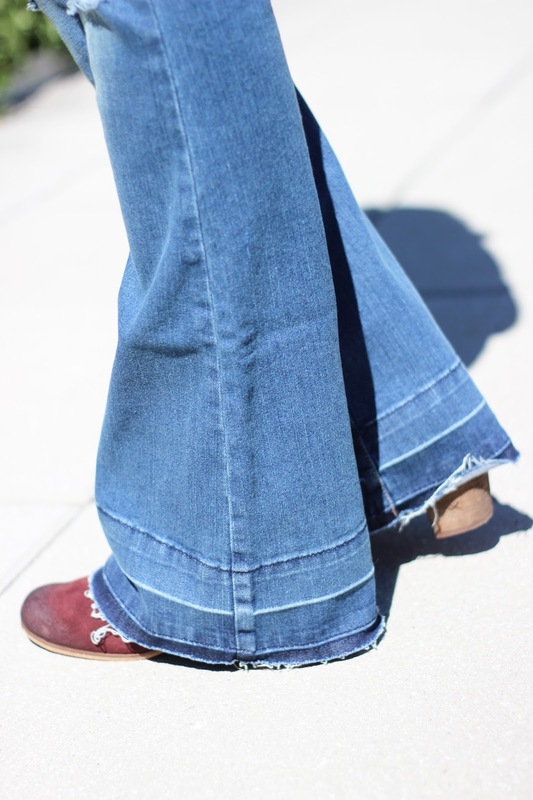 Love the 70s vibes - the flares so fun! 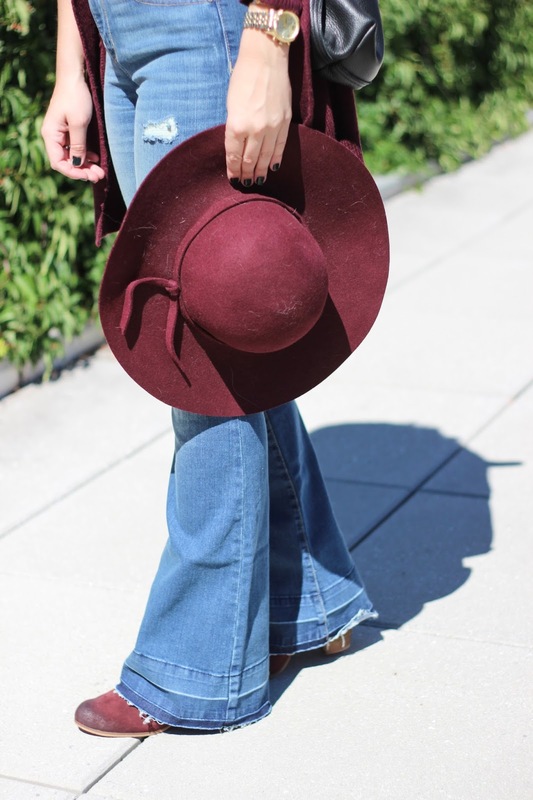 I'm loving the 70's vibes & obsessed with burgundy for fall! Seriously obsessed with the 70s vibe this season! Loving the flares adn you look gorg! I'm loving this little moment 70s trends are having right now! The hat is just too cute! 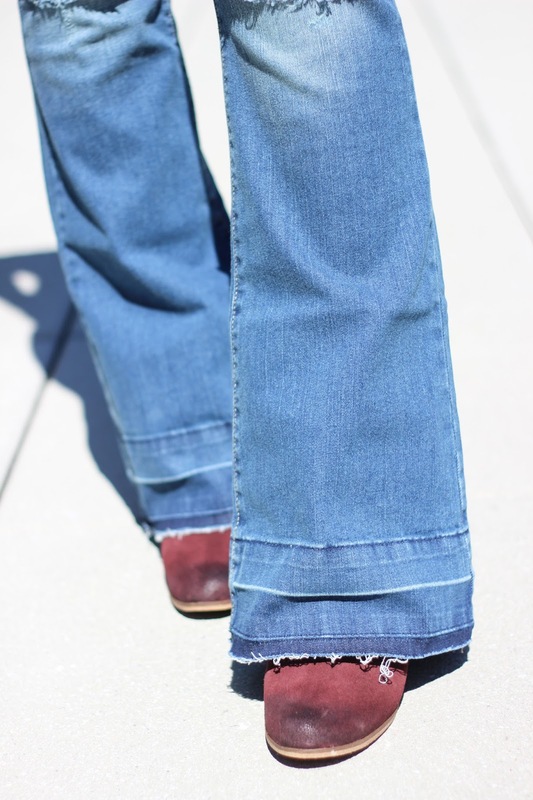 I'm loving those flare jeans on you! Just purchased the Sony a5000 and love how small it is! Love this look! I just busted out my burgundy hat last week and need to get a tan one asap! This is such a great color on you and I've never been a fan of the exposed hem, but I'm loving these jeans!